Programs and Services – Arnprior & District Family Health Team | Helping you look after your health | A family of doctors and health professionals with your family in mind. Arnprior & District Family Health Team | Helping you look after your health | A family of doctors and health professionals with your family in mind. The Arnprior Family Health Team works together to help keep you and your family healthy and to coordinate the best possible care for your health needs. How can I see an ADFHT health professional? What do I need to know about health cards? The Family Health Team is supported by 14 physicians. All of the physicians have their family practice offices in the Primary Health Care Center adjacent to the Arnprior and District Memorial Hospital. At the Arnprior & District Family Health Team (ADFHT), we offer a variety of services and programs to meet the needs of our patients. In addition to the care that you receive from your family doctor, the ADFHT also has other health care providers available to support your needs. These additional programs and services are listed below. These programs support your health, by either helping to manage an existing disease or assisting in preventing future disease. Our programs and services are available to rostered patients. If you are interested in joining any of our programs or receiving our services, you can self refer by going to our Program Tab and selecting the Program that you are interested in and completing the referral form. You can also ask your family physician or a member of our inter-professional health care team to send a referral to our receptionist. Some of our programs are available to the general public, including: Healthy You, Active You, Budget Bites, Walking Group, Healthy Heart, and Craving Change. If you are interested in learning more or would like to join one of these programs please go to our Program Tab and complete a referral form for the appropriate program. The family doctors of the Arnprior Family Health Organization provide the majority of your medical primary care. 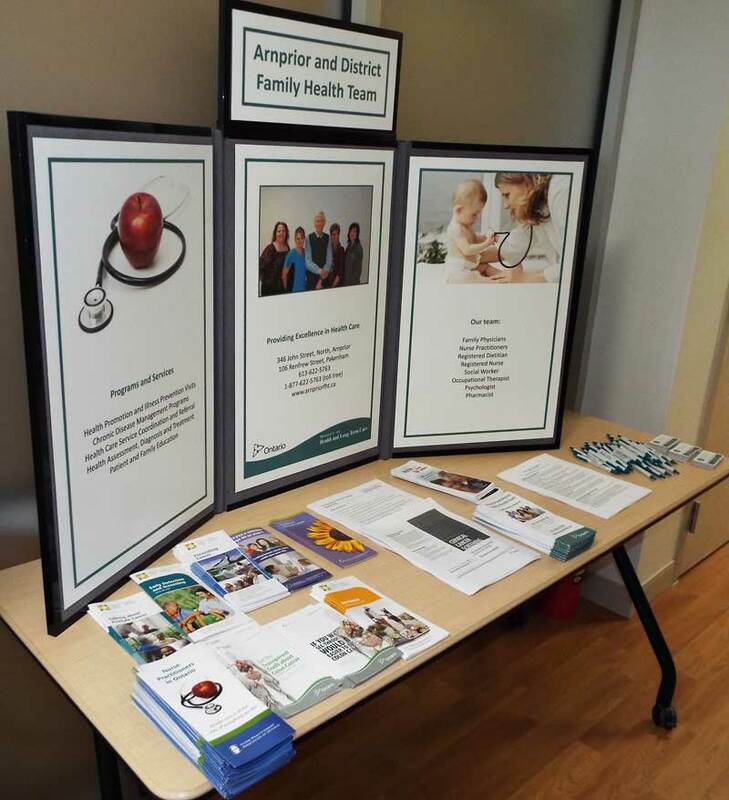 The Arnprior & District Family Health Team is complementing these services with nurse practitioners and other inter-professional health care providers. Some of your care will be provided by other health care providers within the team either by referral or as part of general medical care. Each of the programs listed describes how other health care providers support your care. The Arnprior & District Family Health Team has a pharmacist on staff for prescription renewals, individual patient counseling, either face-to-face or over the phone. Ask your health care provider for details. Regular immunization is an ongoing part of patient care at the Arnprior and District Family Health Team. Our team provides immunizations, allergy shots and regular prescribed injections such as B12. Contact our main line at 613-622-5763 or 613-622-7691 to book an appointment with one our providers. Sometimes it is difficult to figure out who does what in the medical field! Click on any of the links below to get more information about the position, who they work with and what they can help you with.